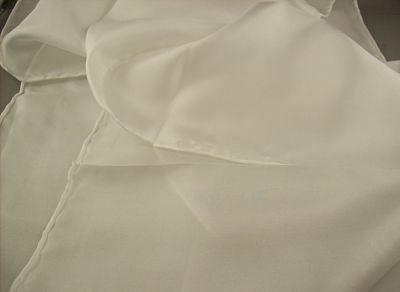 Habotai Silk is also known as 'China Silk' and is a beauitful lightweight, breezy, silk, perfect for Summer. These have hand rolled hems with 100% Silk thread, and are perfect for dyeing or painting. You can use either the Earth Palette Wool Dyes or the Silk Dyes on these lovely scarves. It is best to wash all silk before dyeing to make sure any residue from the silk worm is removed before dyeing. These scarves come in 2 sizes: Medium - 28cm wide X 150cms long. Large - 35cm wide X 185cms long.